Enjoy some highlights from Tuesday’s new episode Late Night with Seth Meyers. 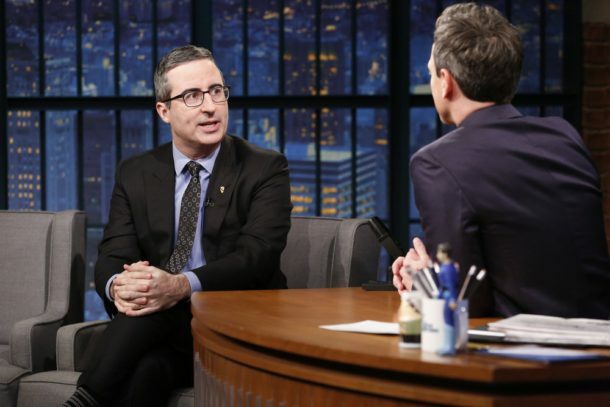 John Oliver talks about the results of Russia’s election, the unexpected success of his children’s book about Mike Pence’s gay bunny, Marlon Bundo, and tackling cryptocurrencies on Last Week Tonight. Late Night with Seth Meyers in partnership with Tourism Australia sent Amber Ruffin Down Under to soak up some sun, cuddle with koalas and, for a moment, forget who the president of the United States is.